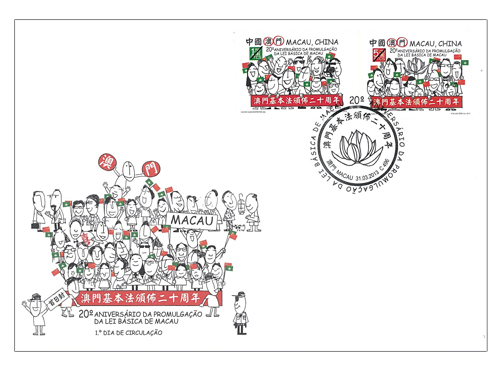 To commemorate the 20th Anniversary of the Promulgation of the Basic Law of the Macao SAR, Macao Post will issue the stamp theme “20th Anniversary of the Promulgation of the Basic Law of Macao” on 31st March, 2013. In the 13 years since its returning and with the great support from the Central Government, the Government of the Macao SAR performs administration strictly according to the Basic Law, fully promotes the developments and reforms in all social fields and makes remarkable achievements. As a result, the Macao SAR is developing along the road of “one country, two systems”, “Macao people administrating Macao” and high degree of autonomy, with gratifying prospects. 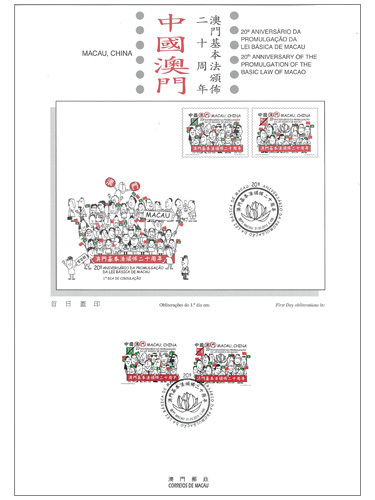 This issue includes a set of two stamps, the designs illustrate in a unique comic style, showing the Macao people holding the national and regional flags with the festive scene in the square. 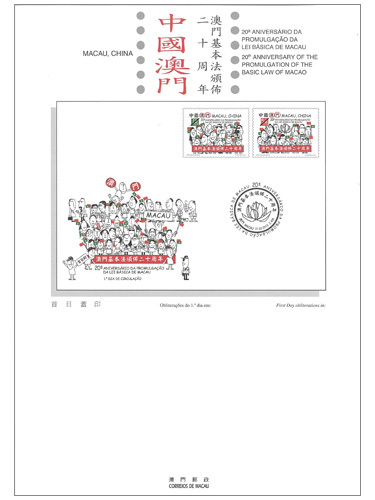 The stamp designer of this issue is Mr. Victor Hugo Marreiros, and the text of the information brochure is written by Legal Affairs Bureau of the Macao Special Administrative Region Government. 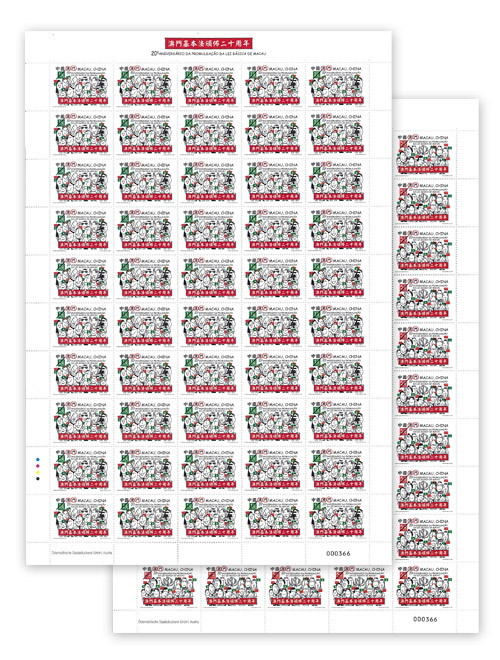 This is the fourth issue in 2013. 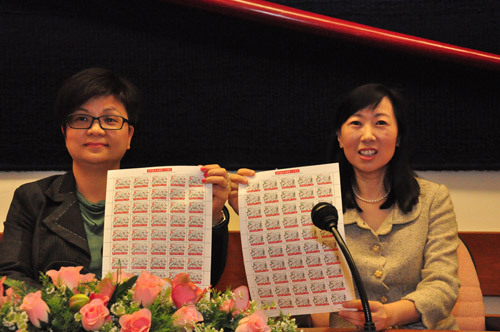 The previous issued stamps are “Lunar Year of the Snake” on 03/01/2013, “Centenary of the Macao Chamber of Commerce” on 23/01/2013 and “Mainland Scenery V” on 01/03/2013.